SCATURITA DALLA COLLABORAZIONE TRA LA DM TELAI, BIKE WORLD EXTREME E SU PROGETTAZIONE DELL’ING. GIOVANNI CARLI È DISPONIBILE NELLE VERSIONI DOWN HILL E SUPER ENDURO. IL PESO DEL TELAIO COMPLETO È DI 3.540 KG SENZA AMMORTIZZATORE. LE TAGLIE DISPONIBILI SONO S, M, L INOLTRE SARÀ POSSIBILE PER IL CLIENTE FINALE SCEGLIERE L’ANGOLO DI STERZO DI BASE PREFERITO (UNICO TELAIO AL MONDO AD OFFRIRE QUESTA ESCLUSIVA). IL COSTO DEL TELAIO È DI 1.638,00 € + IVA CON L’ANODIZZAZIONE GRIGIO TITANIO ED AMMORTIZZATORE POSTERIORE ROCK SHOX MONARCH RT3 INCLUSI NEL PREZZO. 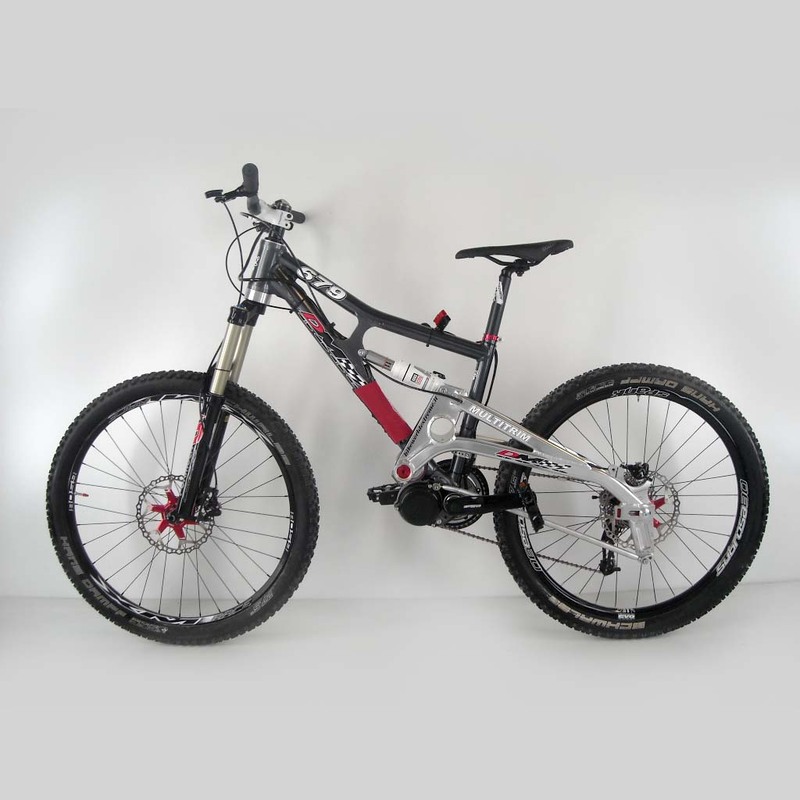 DISPONIBILE ,DIRETTAMENTE DA DM TELAI, LA MTB.679 COMPLETA CON COMPONENTISTICA STANDARD DELLE MIGLIORI MARCHE(FORMULA,SRAM,MANITOU…ECC) AD € 3.500,00 + IVA. PER INFORMAZIONI SCRIVERE A INFO@DMTELAI.ITOPPURE 051-752326. Finally ready for sale the 679 chassis. 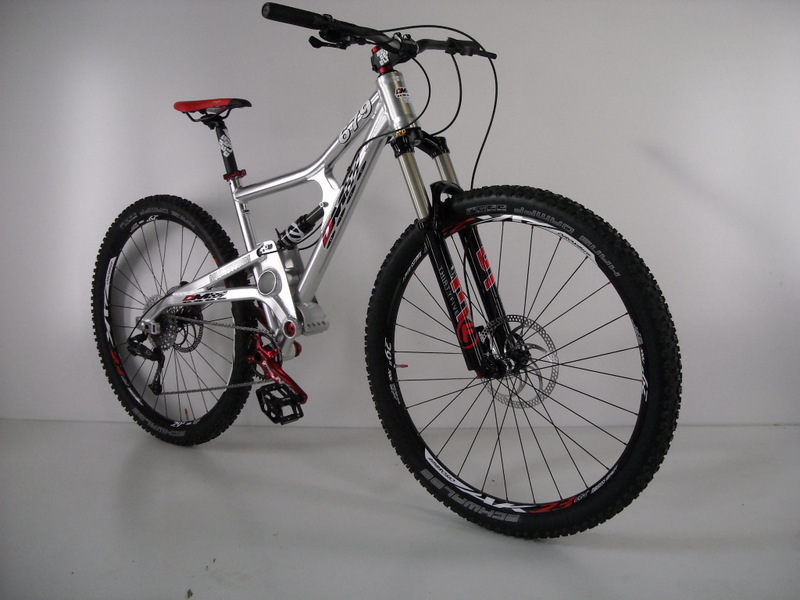 The weight of the final product is 3,540 kg without shock absorber which can weigh from 270 grams to 470 grams. The starting price for a lockable air shock is 160 €. Available sizes are S, M, L; it will also be possible for the biker to customize the angle of the steering (only chassis in the world to offer this exclusivity). The cost of the chassis is € 1,638.00 + VAT with gray colour titanium anodization included in the price. It is able to fit all types of tires available on the market (26, 27.5 and 29 inches), the chassis gives its best in Enduro configuration with 29-inch wheels. 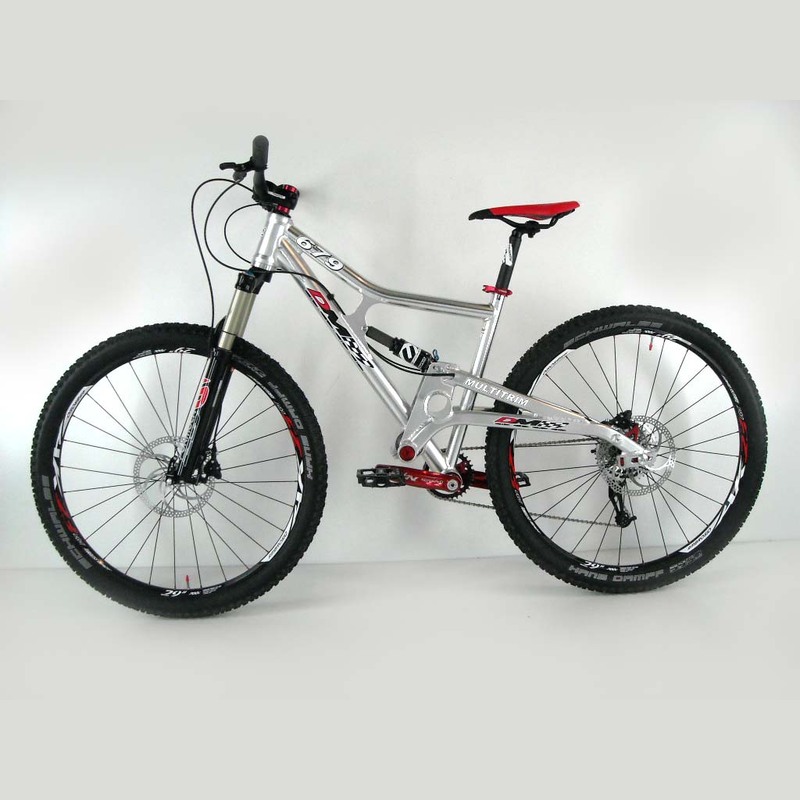 The complete bike is available from 3,500.00 + VAT. Coppie di ruote complete di mozzi-Pairs of complete wheel hubs AMBROSIO MODELLO 27 1/2-650 B mozzo anteriore asse 15 mozzo posteriore 142×12 mm. AMBROSIO MODELLO 29 number 9 mozzo anteriore asse 15 e mozzo posteriore 142 x12 mm. Cannotto sella /seatpost TRUVATIV HUSSEFELT Ø 31,6-350 mm. 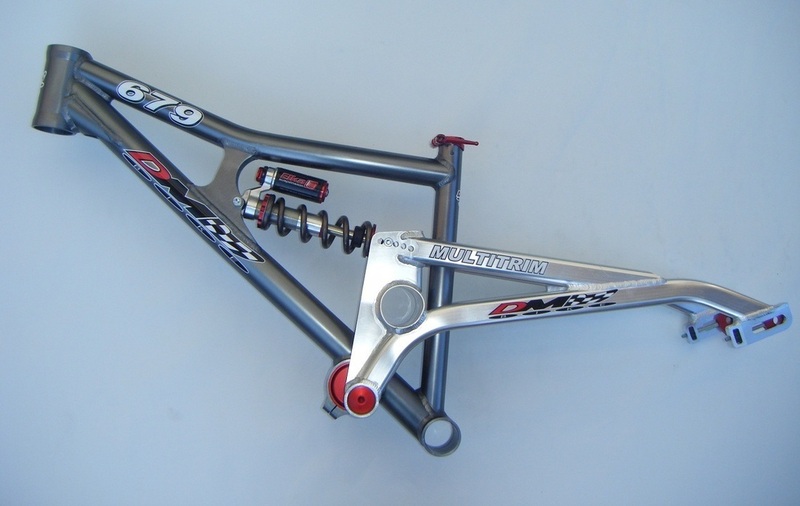 La MTB Super Enduro 679 DM Telai ,unica al mondo, permette di variare l’angolo terzo, l’interasse, l’altezza da terra del movimento centrale e la lunghezza del carro tra salita e discesa con un semplice gesto, ovvero la rotazione dell’eccentrico sul posto in 10 secondi. 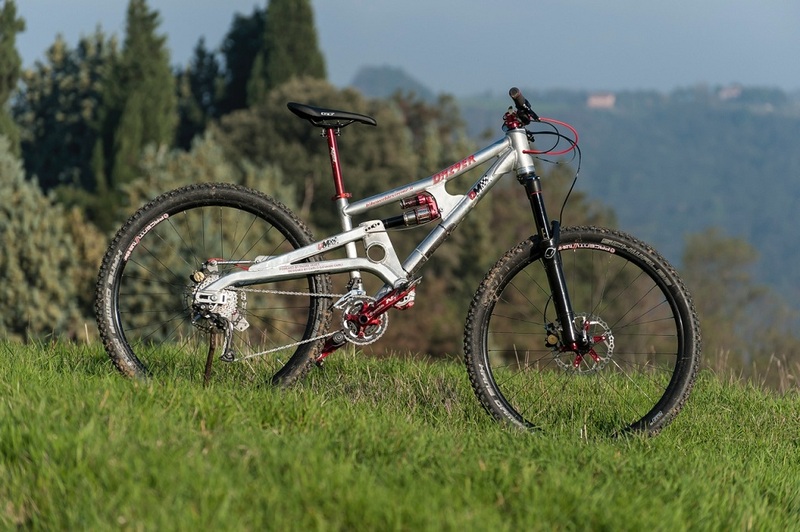 Solo DM Telai ha il telaio da MTB che puo’ montare indifferentemente le ruote da 26-27,5-29 pollici oltre che le ruote da FAT BIKE, cioe’ le 26×4,00 pollici all’anteriore e al posteriore.